First things first. 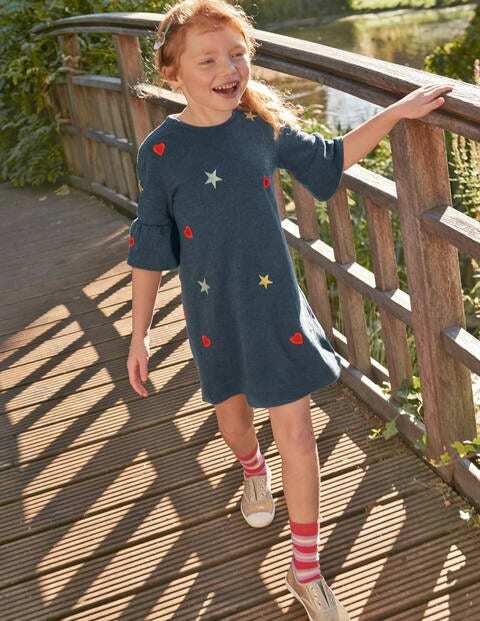 This A-line dress is made from supersoft slub cotton, so it's comfortable and relaxed. But more importantly, it's topped with either fluttery flowers or sparkly star-and-heart embroidery. Most importantly of all? It has marvellous fluted sleeves that are custom-made for flouncing.